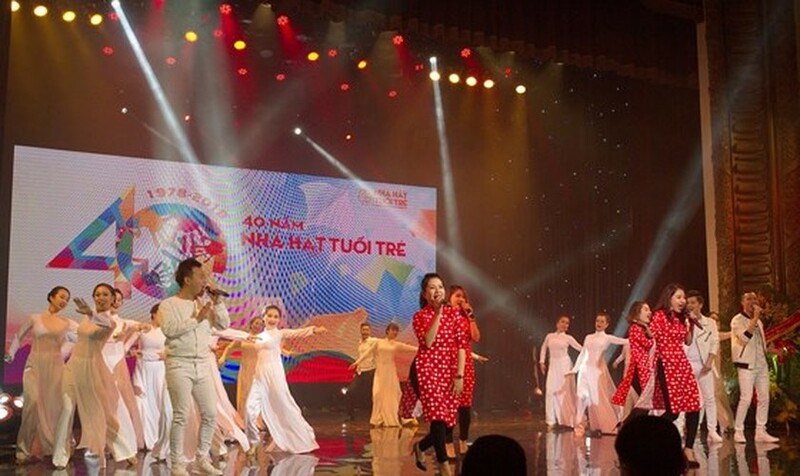 Vietnam Youth Theater held a ceremony celebrating the 40th anniversary of its establishment on April 10 in Hanoi. 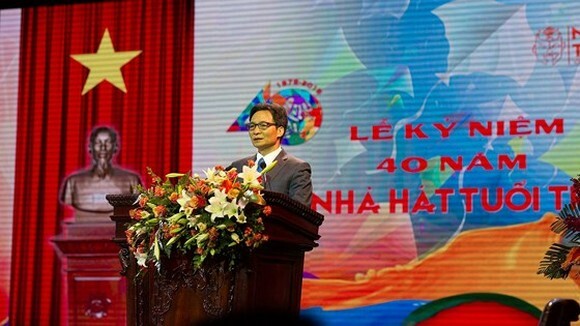 Speaking at the ceremony, Deputy PM Vu Duc Dam conveyed his best wishes for the theater’s staff and artists. He highlighted the theater’s art creativity and outstanding contribution in bringing the value of art and right orientation to young audiences over the past 40 years. Established in 1978, the 500-seat Youth Theatre located at 11 Ngo Thi Nham Street in Hai Ba Trung District in Hanoi has 160 members. The theater given a large number of performances at home and abroad. It is currently a member of the International Association of Theatre for Children and Young People (ASSITEJ). 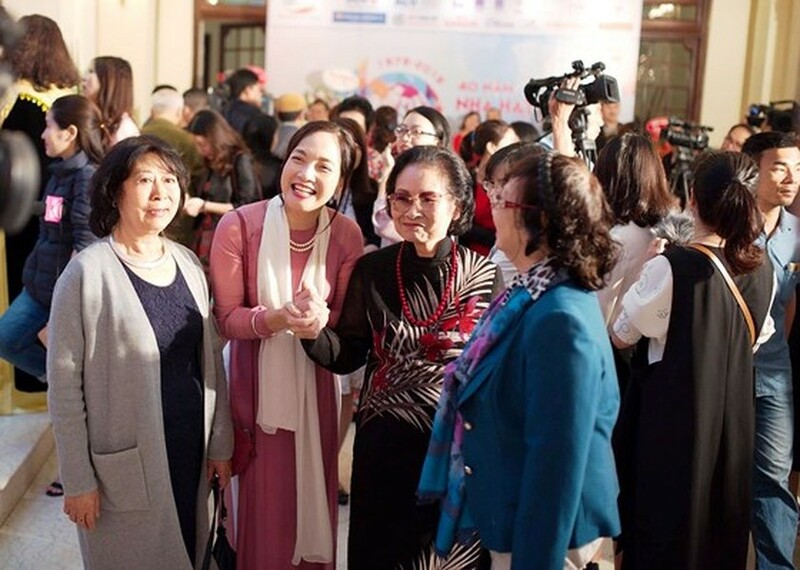 Generations of artists of Vietnam Youth Theater gather at a ceremony. An art performance marks the 40th anniversary of the establishment of Vietnam Youth Theater.